As a digital artist, investing in one of the top devices that can help you tap into your creative juice is a wise thing to do. So, what’s the best laptop for digital art? Basically, it should have a display with excellent resolution, plenty of GPU power, plenty of storage space and lots of connectivity options. In addition, it needs to be portable and have a good battery life. With that in mind, below are some of the best options to consider if you are in the market for a reliable laptop for digital art. The list is in no particular order so you are free to choose the one that best meets your unique needs. 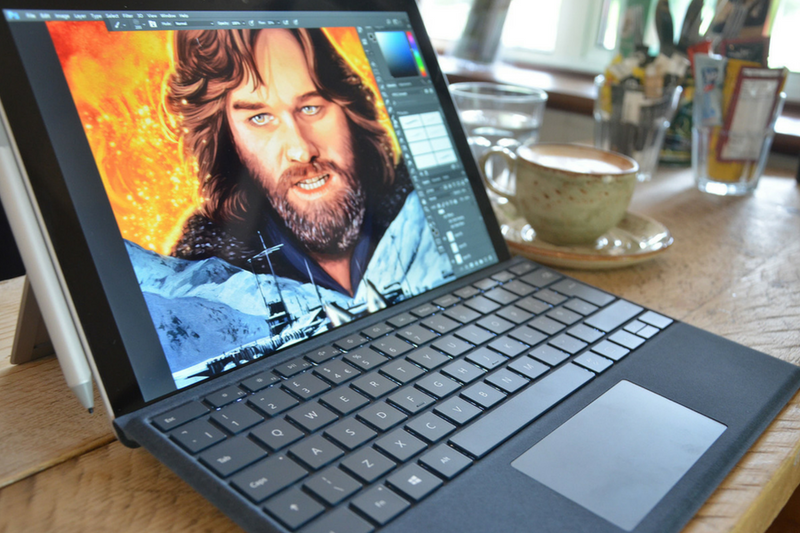 Topping our list is the Microsoft Surface Pro that packs nearly everything a digital artist needs to thrive. Probably one of its best features is the 2-in-1 design which allows you to use it in tablet, laptop and studio modes for added convenience. On top of that, the PC boasts a powerful battery that lasts up to 13.5 hours with video playback. This is powerful enough to keep you going all day long. On top of that, with a 7th Gen i5 Intel Core processor and 8GB of RAM, you can fully bank on this machine to re-awaken your potential. This is because the PC allows for smooth loading and multitasking. As far as storage is concerned, it employs 256GB of SSD hard drive which is quite impressive. As such, you can save as many photos, videos, and music as you like or install more programs without worrying that you might run out of space for your designs. 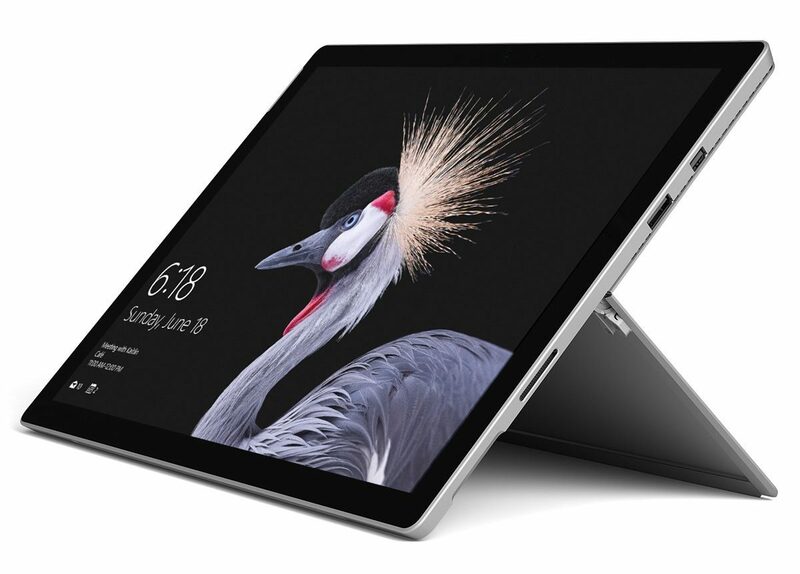 On top of that, the Microsoft Surface Pro boasts stunning PixelSense display designed to support both touch and pen. The Surface pen is comfortable enough to use during those long creative sessions. Further, it has a screen resolution of 2736 x1824 pixels and utilizes Intel Iris and HD graphics thereby offering superior viewing experience of your designs. Additionally, the machine is compatible with 802.11 a/b/g/n/ac Wi-Fi and Bluetooth Wireless 4.1 technology for faster browsing and data transfer. As if that’s not enough, it comes with a slim and light Arc mouse that conforms to your hand, connects via Bluetooth and snaps flat in order to fit in the bag. While it is a bit pricey, it is one of the few models from Microsoft that offers you all the power you need to bring your artwork to life. If you are a student or a beginner in the digital art field and looking for an affordable machine, the ASUS UX410UA-AS74 can be a great buy. It comes with all the right specifications an artist would need to succeed in this particular field. Featuring sleek aluminum body while weighing only about 3.1 lbs, the PC is highly portable and extremely convenient to carry with you anywhere you go. At 14-inches, the display is quite large and boasts wide-view IPS Full HD and a resolution of 1920 x 1080 pixels. Therefore, you can enjoy sharp and clear graphics regardless of which angle the screen is. 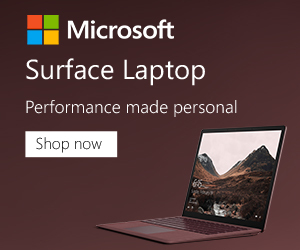 On top of that, it comes already pre-loaded with Windows 10 Home operating system for optimal performance right out of the box. 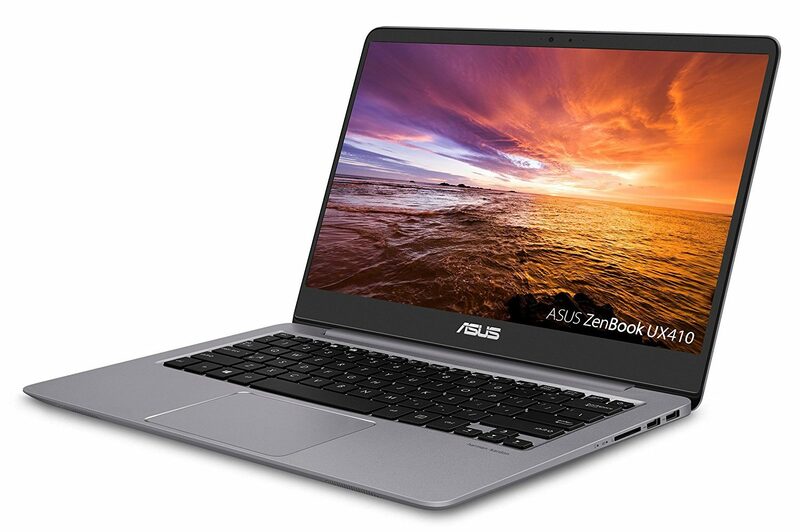 The best part about the ASUS UX410UA-AS74 is that it is powered by an 8th generation i7-8550U Intel core processor with a base frequency of 1.8GHz but can be boosted up to 4.0GHz. 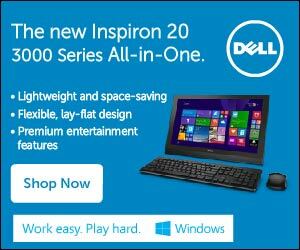 Consequently, the PC will easily keep up with you especially when performing complex tasks. To top it all up, it boasts 128GB of SATA SSD and 1TB SATA HDD of fast storage plus 8GB of DDR4 memory. Therefore, you should not experience any lag during start-up times or while loading multiple applications. Another awesome feature of this device is its extensive number of connectivity options including USB Type-C port, HDMI port, SD Card Reader and 802.11a/c Wi-Fi. 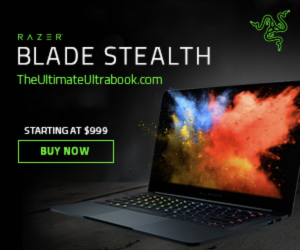 Finally but most importantly, it comes with a backlit chicklet keyboard that offers a nicely responsive feel and comfortable typing experience. 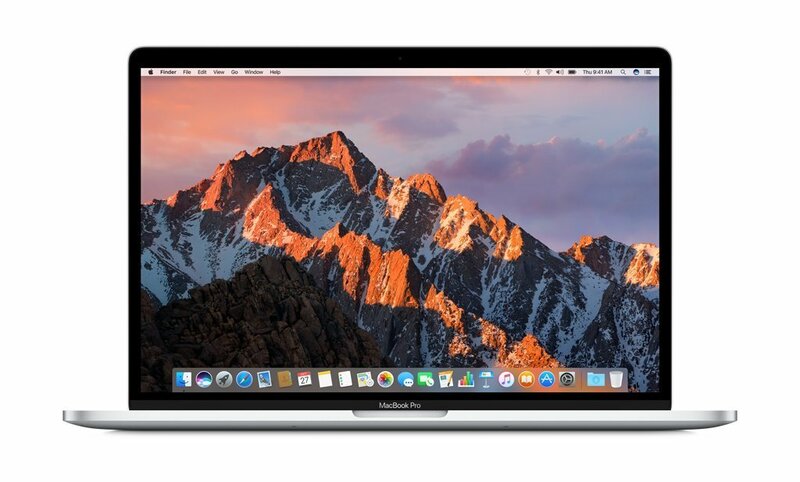 Apple has established itself as an excellent computer brand and their laptops are reliable for any purpose. So, if you do not have budget constraints, you should definitely consider this MacBook Pro 13-inch. The fact that it utilizes 7th generation i7 Intel Core processor with a speed of 3.5GHz and turbo boost of up to 4.0GHz makes it ideal for any digital artwork. What’s more? With a memory of 16GB 2133MHz, the machine is very fast, powerful and will make digital art a more exciting career for you. Best of all, it features 512GB of PCIe flash storage which means you can store as many designs as possible without worrying about the possibility of running out of disk space. Moving on, the Apple MacBook Pro incorporates Intel-Iris Graphics 650 that is capable of supporting any software you will need for drawing. In addition to this, it boasts a screen resolution of 2560 x 1600 pixels that makes it convenient to view all your drawings in clear and vivid details. But wait there is more. The machine boasts a responsive touch bar alongside an intuitive touch ID that makes scrolling through controls and programs effortless. Last but not least, it supports 802.11.b/g/n Wi-Fi networks for faster browsing from anywhere. 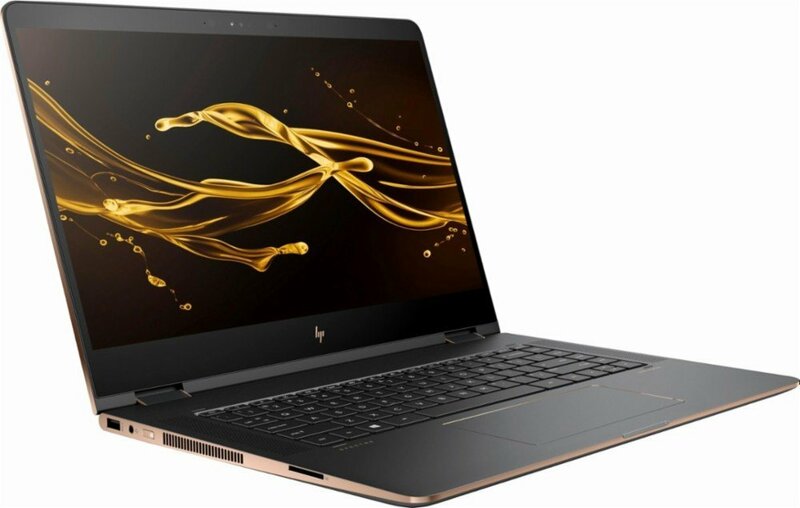 The HP Spectre x360 laptop stands out as one of the best convertible laptops all thanks to its creative design and powerful processor. 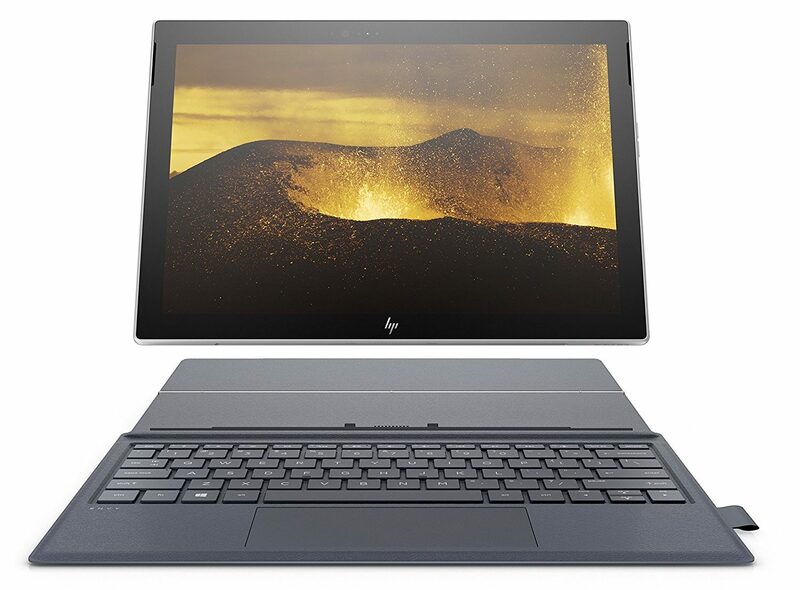 First off, it comes with an eight generation core processor which is one of the latest inventions that HP has embraced so far (although you can always start out with a cheaper 7th generation). Indeed, one thing that stands out about this machine is that it has a wide variety of high-end configurations. You can’t help but appreciate its 13-inch structural design which weighs a paltry 2.78 pounds. We also noticed that its bezels are significantly thinned out for a beautiful and trendy frame. Beyond the aesthetics, this laptop stands out with its powerful 16GB DDR4-2133 SDRAM. This is the kind of temp memory you need to multitask and run different programs at once. The stronger the RAM, the easier it gets for the laptop to handle complex tasks, in a seamless fashion. As far as internal memory is concerned, the Spectre packs up a whopping 512GB. This is pretty much all you’ll ever need to store your movies, music, artwork, presentations and so forth. And besides that, you can always choose between Thunderbolt, USB 3.1, USB Type-A, and HDMI ports to load content from external devices. As someone in the creative industry, it’s always a good idea to get the best sound output possible. And, we’re glad that that’s exactly what the Spectre offers. Its built-in Bang & Olufsen Audio system is sure to dazzle you, every step of the way. Faced with a tough deadline? Well, the good news is that this machine comes with a backlit keyboard which enables you to work at night without disturbing anyone you might be sharing the room with. 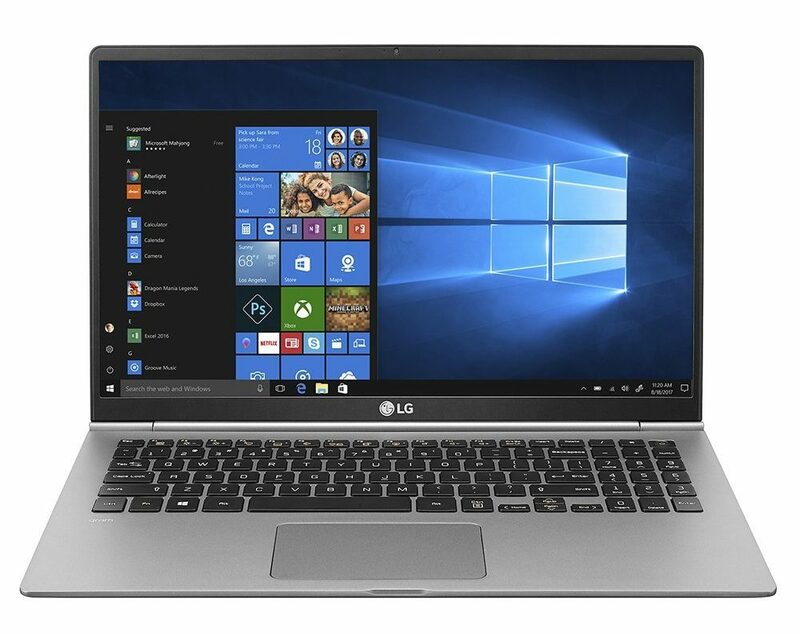 If you’re on the market for a light 15-inch laptop, this is probably the best deal you can land. However, we feel that it closely resembles its older siblings in the Gram brand. Clearly, the company’s designers slept on the job – they could have grabbed this opportunity to make this one look distinctive. But if aesthetics aren’t a big deal to you, the rest of the features offered by this machine would be worth taking a closer look at. For instance, it comes with a pretty useful keyboard. The keyboard’s buttons are pretty soft and produce just enough clickiness to get any job done conveniently. Its LCD Touchscreen provides you with a decent 15.6-inch worth of HD experience. And given that it’s a touchscreen, you basically can handle every aspect of your project like the boss you are. Moving on, the Gram comes with a powerful Li-ion battery with up to 16.5 hours of life. That’s on top of an 8th generation processor which works in line with an 8GB RAM to deliver an awe-inspiring experience. We’d, therefore, recommend this as the ideal machine to go for especially if you’re looking for speed and space. We also like the fact that it handles thermal cooling pretty decently. And lastly, it would be unfair not to re-emphasize the fact that it’s pretty light and, therefore, convenient to handle for long hours. 16.5 hours of battery life – that’s a lot of juice! You only need to take a quick look at the Envy X2 to realize that’s it’s a beast. First off, it’s designed to work as a detachable PC. The tablet portion is bound in a blue leather keyboard cover which not only serves as a stand but also provides protection. Its high-end metal edges coupled with a remarkable with 1,920×1,200 and Corning Gorilla 4 protection make this a great display screen to spend your money on. In general, this is a sleek device, complete with an eye-catching chrome finish. From our analysis, the Envy X2 seems to place immense importance on wireless connectivity and battery life. In fact, the HP marketing team claims that this machine can provide you with a whopping 22-hours of non-stop use on a single recharge. On top of that, you get a decent 1,000 hours worth of standby time. Its RAM is, however, on the lower side as it only packs 4GB. We’d have expected a bit more out of this hyped-up machine although as you know, 4GB is basically enough to get most art and design jobs done. Its storage is 128GB – and this once again seems like too little for a machine of its caliber. But if you’re in the market for efficiency, or you just want a machine that’s rugged and durable, the Envy x2 from HP is such a great deal. Its dimensions are also above-board. For instance, the machine weighs a paltry 2.67 pounds and the tablet alone weighs 1.54 pounds. That means you can handle this machine for long hours without worrying about hand fatigue. Whether you’re looking for speed, long-battery life, huge storage or user-friendliness, our list of laptops for digital art is meant to help you scale the heights of excellence. But in order for that to happen, you need to take a closer look at your specific needs so you can make an informed decision. Hopefully, the details shared above will give you the confidence to find the right match for your career.